It won’t break the bank to get your hands on a good book, but chances are you are going to fall into it head first. It is because a thrilling novel is hard to put down. But while you may have a collection of the best books for the spring, not all of them will keep you anticipating the next chapters. Thus, to help you sample some of the best-written novels, whether old or recently published, it is time to buckle up for an adventurous ride to depths of breathlessness into which reading can take you, yet you will still want to keep going. Reading is a powerful way of gaining more knowledge. A twist in the plot here and there is always going to get you hooked to a literary piece, and when you think everything is finally coming to an end, the revelation of new characters by the writer means it is time to tighten your seatbelt for a rollercoaster ride. Now, before diving into the specific books from this post, it is imperative to note that good reads are like blockbuster movies that crash screens even before they are in theaters. You will want to carry a good book to the office, read it in washrooms, flip over a few pages in traffic and take a peak of a few pages under the blanket before sleep can have its way. I recently read a newly published book, ‘Reincarnated’ by Stephen Atalebe, which I must admit, was impossible to put down, and after going through more reviews on writing service Edusson, I decided to try out a few more novels. When, after reading a novel, you feel like the real hero, nothing can stop you from seeking other thrilling book recommendations. That notwithstanding, a good book review from a top essay writing service isn’t going to disappoint in suggesting valuable literary pieces for your spare time. Nevertheless, with the help of a professional writer, writing down a list of books you want to buy for spring is not going to be difficult. Neil Gaiman is one of the world’s renowned bestselling English authors, which means, if you’ve never read one of his publications, then London below, the world of Neverwhere is an urban literary composition that is going to move you from a city of monsters and saints to a place where angels and devils exist together. And when the life of a businessman is about to change, thanks to a simple act of good deed, the author presents a new world in the ‘‘Neverwhere’’, sitting beneath London. The author’s creative imagination in plotting a series of events and naming of chapters is something that makes this novel a must-read. Love is as old as the hills, yet it still hard to explain in some circumstances. 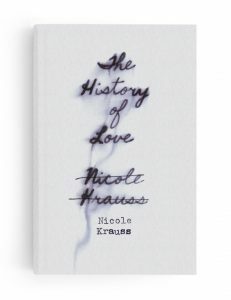 In the book, ‘‘The History of Love,’’ a story of a girl aged fifteen years that meets with the man of eighty years old. The author meticulously crafts the plot in a way that every chapter keeps you anticipating for the next. If you love family drama and mystery and find comfort in words, then ‘The Thirteenth Tale’ is a book that is going to be hard putting down. In the story, Margaret Lea receives a letter that is handwritten by a renowned novelist, Vida Winters requesting for her life story. However, before she can tell her story, Margaret reads ‘Thirteen Tales of Change’ and another novel by the same author, ‘Desperation’ who has sent her the letter. Surprisingly, there are only twelve tales in the first book. So, from where will the thirteenth come? Read to find out how Margaret’s dark past meets Vida’s creativity. Everyone yearns for a happy life, but when twists and turns like time travel, romance, and kidnap and among other things come into the picture, you will start thinking about an escape route. Well, ‘‘Dark Matter’’ by Blake Crouch presents all these into one thriller book you will find hard to put down. A story set in the time of World War II isn’t going to elicit good memories, is it? Well, in this book, there is an excellent side to daunting times as these. Georgia Hunter presents a Jewish couple struggling to beat the odds of hard times. If only you would have to know the writer herself is a survivor of the Holocaust, then you will fall head first into this masterpiece and never to come out. There are tons of books in stores that will keep you both entertained and perplexed by an author’s creative imagination. 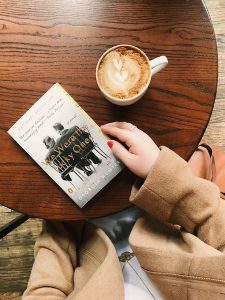 But before you can check out other publications like ‘All The Light, We Cannot See’ by Anthony Doerr or ‘The Light Between The Oceans,’ the ones in this post should keep you busy.